Hey guys! 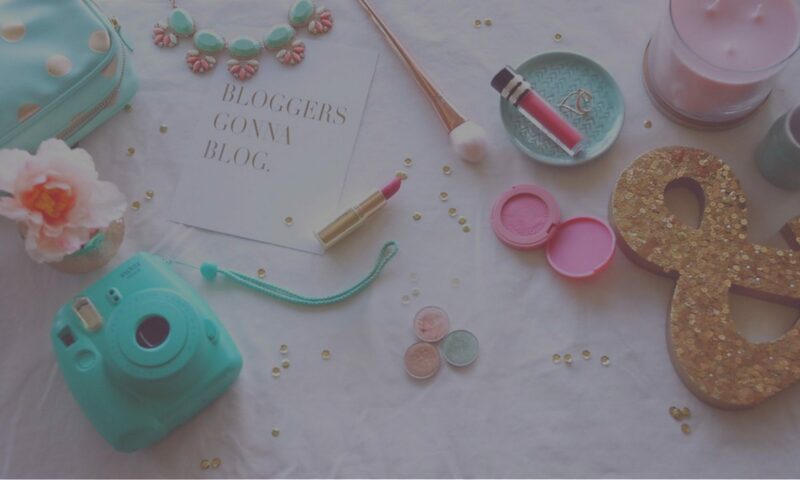 Welcome back to another week on the blog. As I’m writing this, I’m extremely tired, so please forgive me if this ends up being a short and sweet one this week. Anyways, this time around I have another one of my product comparison posts, where I put a beloved product to the test and pit it against a comparable, less pricey, similar product. 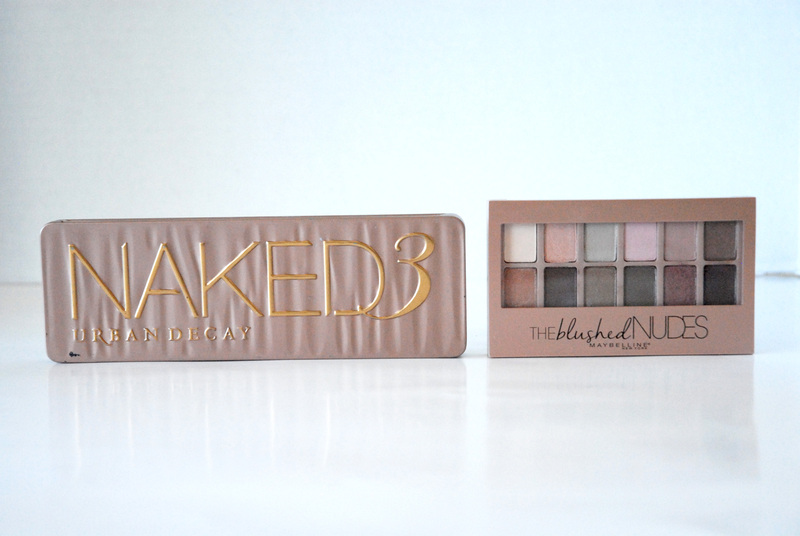 For this particular post, I’m comparing the ever popular Naked 3 palette from Urban Decay (which was last seen in my Rosy Smokey Eye look for my Summer Lookbook) to the Maybelline Blushed Nudes palette. 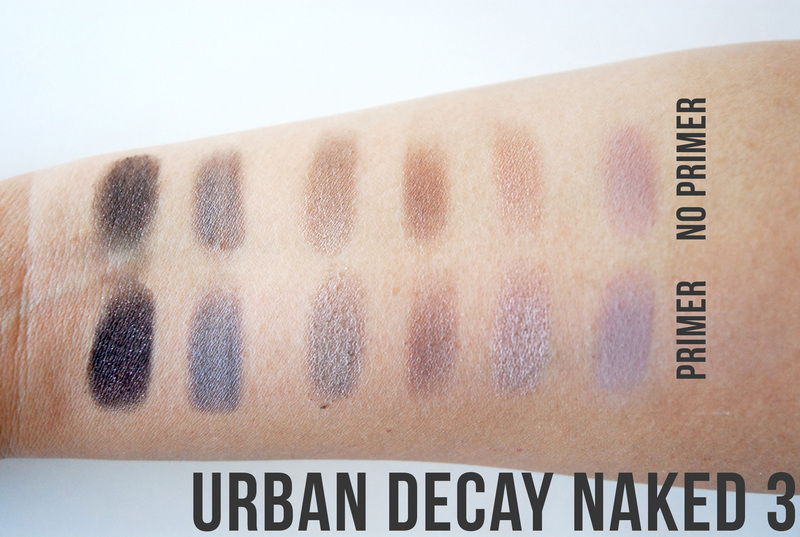 I did a bit of research with this specific post, and as it turns out both Urban Decay and Maybelline actually have the same parent company, L’Oreal. That said, going into this comparison, I was really excited to see if this similarity would make this an almost exact duplicate. Keep reading to see the final outcome! Kicking things off, in both palettes there are 12 shadows total which range from rosy pinks, reddy toned browns and taupey greys. Out of these 12 shades, 11 of them are extremely comparable. Here are some side by side swatches that I did for you. 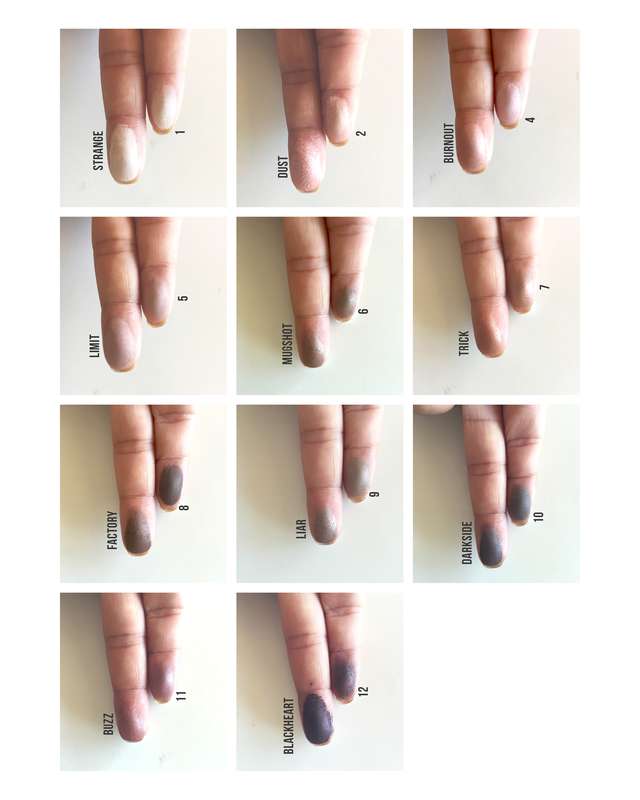 The longer (middle) finger has the Urban Decay swatches and the Maybelline sister shade is on the shorter (pointer) finger. The Maybelline palette, however, has no names for their shadows, so I provided corresponding numbers going from the top left to right where these shadows are arranged in the palette. Alrighty, as I mentioned before, I’m seriously so tired and for the life of me, I cannot think of a graceful segue, so let’s just get into the breakdown of each individual product, shall we? First up, the one and only Naked 3. The mirror is a super plus and makes it easy to get up close and work with the product as an entire experience, if that makes sense. Basically, you have everything you need at the tips of your fingertips with the mirror, shadows, and brush all in one place. The formula of these shadows is honestly just heavenly and makes eye looks easy to accomplish since they blend so easily. The high quality brush is also great and definitely holds its own. It contains several unique shadows that are not typical of your standard neutrals. Travel doable. I say that instead of “friendly” because it’s not completely there (see below). The size of it is relatively compact. It is not bulky, however it is not super thin either. Also, the metal is nice and durable and will protect your shadows from shattering while they are in transit. In a pinch, the accompanying mirror and brush could serve as an all-in-one go-to for all your eyeshadow needs, but really only if you are an extreme minimalist. More mattes and warm colors would probably be needed to round out a good selection. Not super travel friendly for two reasons. Firstly, the metal packaging makes it a bit heavy to tote around. Also, this palette is more of a supplementary one as it is kind of difficult to get a large range of looks using just the shadows in here. It’s mostly up to your specific preference if this will work for traveling for you. If you want just a single item, this could potentially work if you are willing to work with it. However, if you like a lot of options this won’t be for you since it can take up a bit too much room and won’t leave you a lot left for other products. This is a semi-pricey product at $54. I say semi pricey because if you are a makeup enthusiast, you’ll know that this is typical of a cosmetic product. It’s expensive, but not as expensive as Chanel or Dior etc. 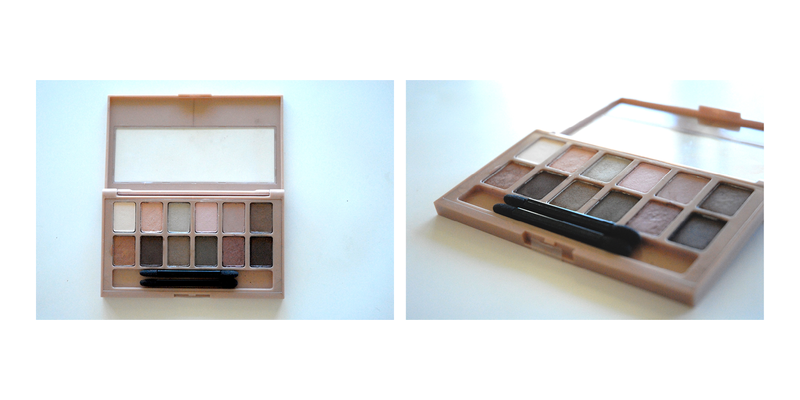 Not enough mattes in general, but also extremely lacking in a dark matte since this palette has a light and two medium matte shadows. Also missing some more warm shades to go along with the Trick color. The glitter formula shadow, Dust, is not as smooth as the others; it is a bit more chunky and can have some significant fall out. 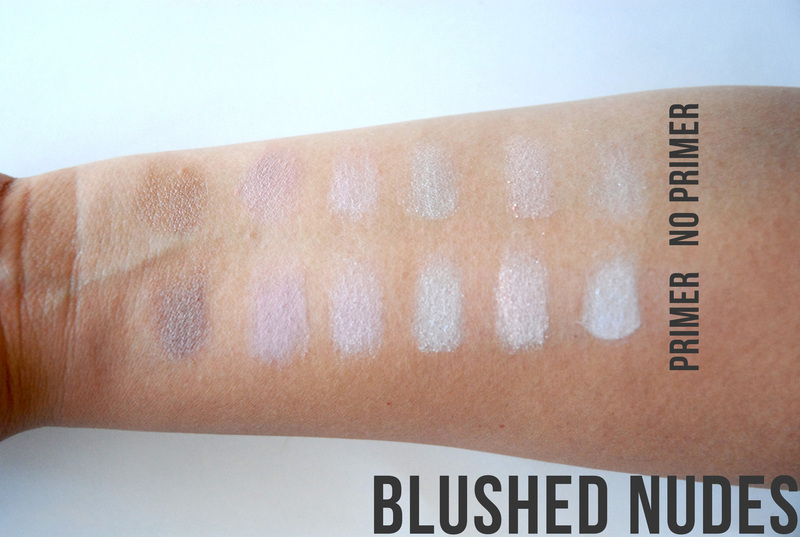 Next up, Maybelline’s Blushed Nudes palette. If you take a look at the back diagram, this palette is actually arranged in some helpful color groups. Within the rows, there are 3 sets of duos or two sets of trios per row. Also, every group of four (two from top row, two from bottom) makes up a color coordinating quad. If you are a beginner to matching colors, this can prove to be extremely helpful. Compact and light makes it a good size for travel, but does not necessarily have travel friendly features. Cost efficient at $10- around a fifth of the cost of the Naked 3! These colors are not consistent across the board and the fineness of the formulas varies. They aren’t super easy to work with since they do have some fall out and don’t blend quite as easily. Although it is a good size for travel, it does not have very travel friendly features such as durability of a sturdy case or a mirror to work with. This option would work best for travel if you want to take multiple palettes and want a rosy toned option. 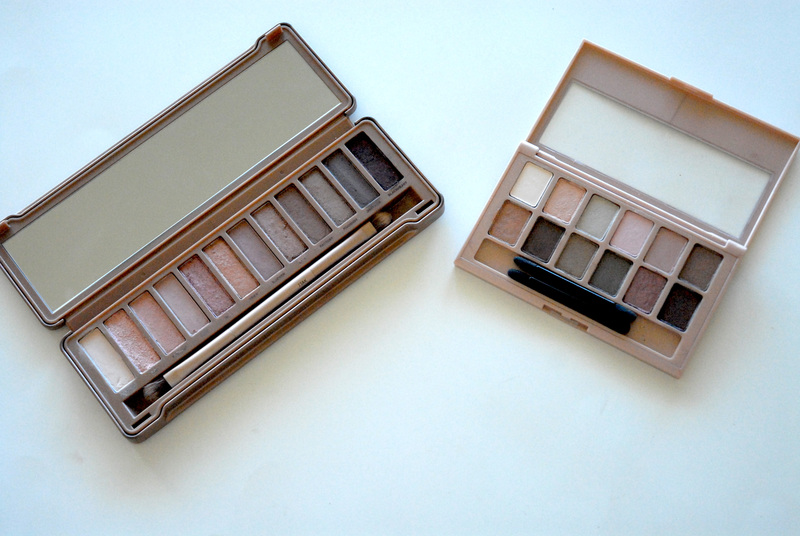 General Consensus: Both of these palettes are good, but for different reasons. A vague conclusion, I know, but hear me out. What this really comes down to, is what you’re looking to get out of this type of palette. 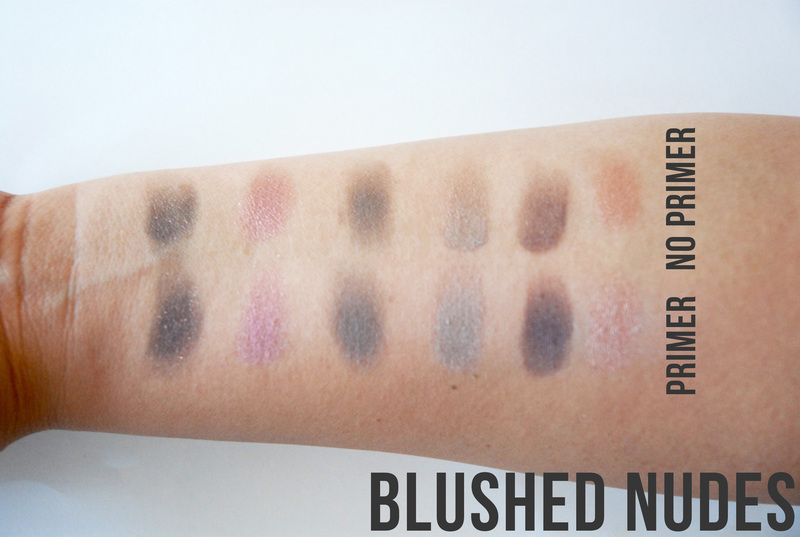 If you are a beginner or just want something that will get the job done, but not break the bank, The Blushed Nudes is for you. Additionally, if you are looking for something that will add to the color options in your collection, but not necessarily the value, The Blushed Nudes is also for you. 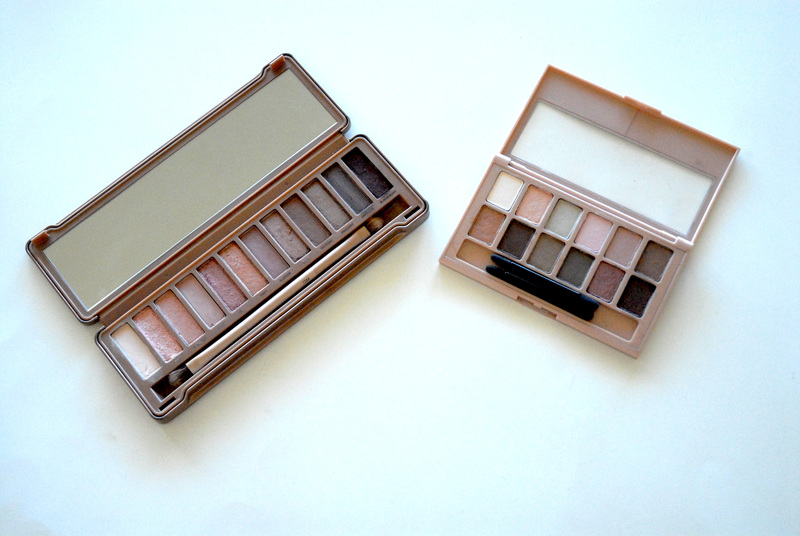 If you are a makeup enthusiast looking to collect them all, I say go for the Naked 3 because it really is a unique palette compared to other high end options. The only other comparable one at the same price point, would probably be the Lorac Unzipped palette, but that’s a different story for a different day. 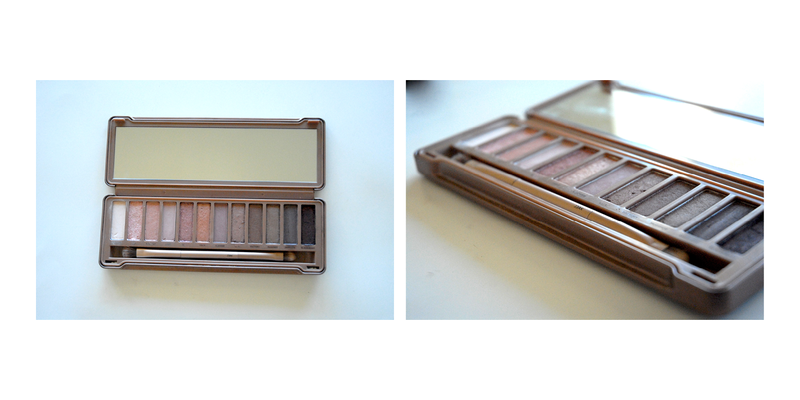 Also, if you really want one palette that has almost everything you will need, the Naked 3 is also probably for you. In the end, however, you only really need either one in your collection, depending on your specific needs. The choice is ultimately up to you, but I hope that this Product Comparison post will make the decision easier or at least get you started in the right direction. If you have any additional questions leave me a comment below or if you already have one or both of these palettes, let me know what you think of them! That’s it for this week! Fantastic post! I needed this comparison in my life. You win the internet today. Wow, this is such an awesome review! 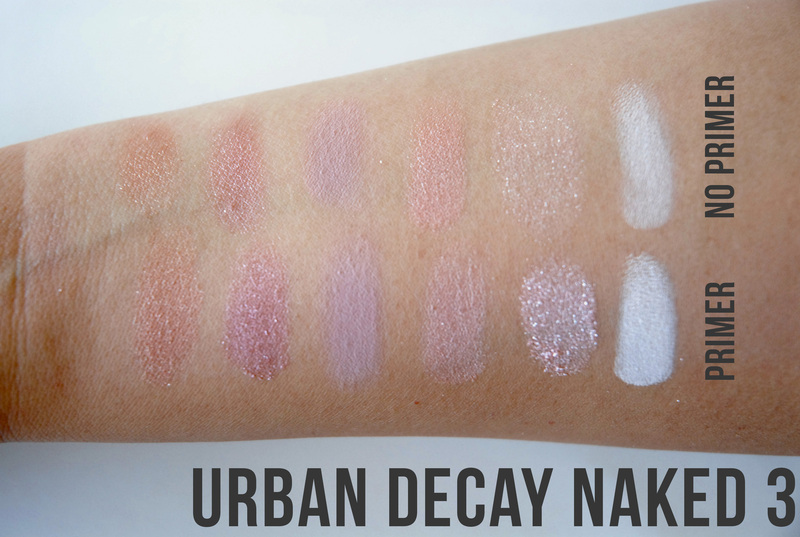 I have that Naked palette but in retrospect I probably could have done with the blushed one lol. So glad I found your blog!